Khutugden looked at the chrono, noting that the pilot was cutting it very close indeed. Inside the red-lit interioer of the Assault Ram, the roar of the engines were loud enough to render unaided conversation impossible, but that was hardly an issue. His brethren knew what was expected, and idle chatter had never been something Khutugden would countenance. Suddenly the Ram shook and jumped, and the crackle of anti-air munitions added their voice to the warsong of rapidly approaching bloodshed. As the chrono-indicator rapidly dialled down, the Ram was shaken by the retros screaming into life, followed by the roar of the prow-mounted Magna-Melta. The interior lighting switched to green, and the forward hatches sprang open. Khutugden lead the charge into the wake of shrapnel from the frag assault launchers, seeing the ruined form of a heavy, tracked command vehicle ahead. A gaggle of warriors in the drab steel of the IVth. legion were moving from the wreck to intercept Khutugdens Arban, but before they managed to loosen a shot, streams of heavy bolter shells chewed through the legionnaires and the ground around them. One erupted in a cloud of superheated gas as the Jetbikers of Nakhu sped past, whooping and cheering. Khutugden joined their laughter, his Arban surging forward to bring red ruin to the remaining traitors. All of my pledge finished! 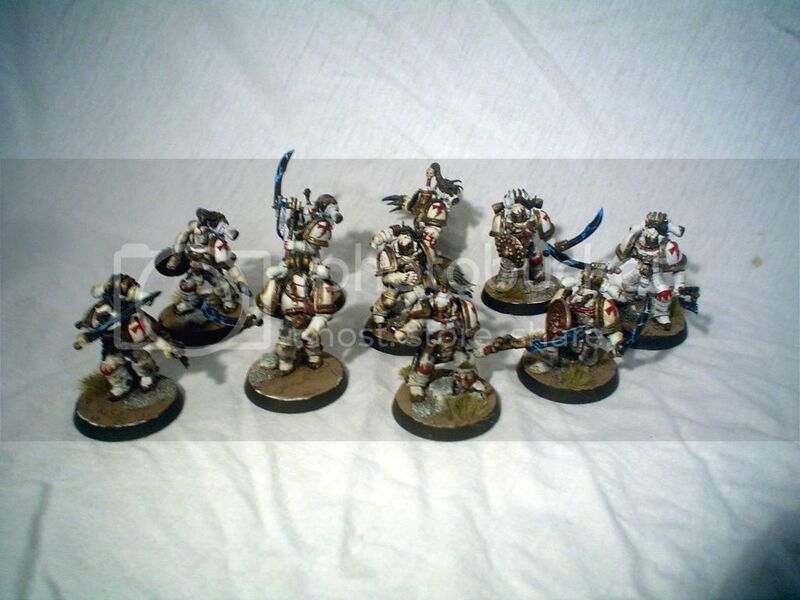 Ten finished Veterans, the two newest are the ones with axe and Scimitar. Jetbikers proved elusive, so excuses for the cruddy picture. Sarge has a Powerfist, and all guns are interchangeable. One rider is also magnetized at the waist so I can add a Jetbiking Stormseer or Primus Medicae when I run the unit as Skyslayers with full Melta, as that leaves them at 5 models max. The Ram, now with base! Great stuff, keep going guys! Clock's ticking! I'm in the process of procuring bitz and pieces for some support squads for this guy to lead and aid. The one in the back isn't quite finished yet, gonna adda a finished pic of him in an hour or two. 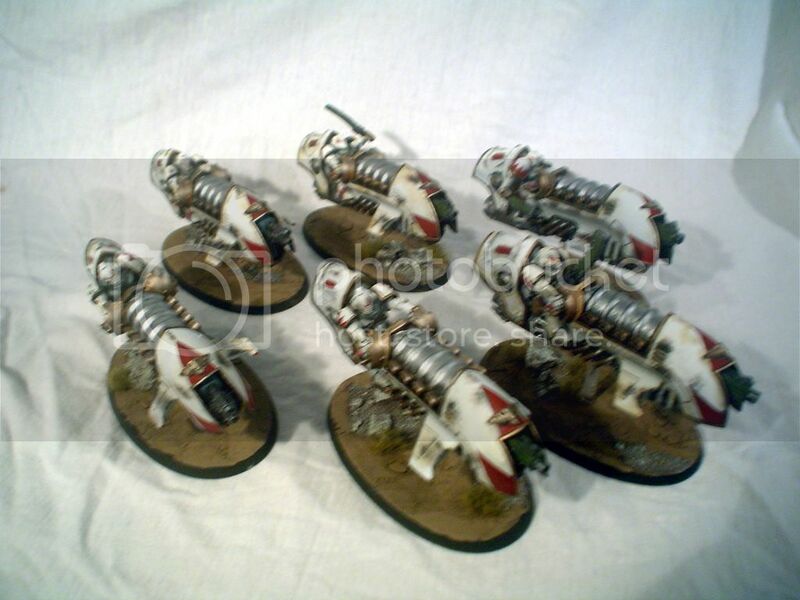 Forgot to include the thallax, will include them in the final shoot with the finished plasma-dread. Edited by lokkorex, 15 April 2017 - 05:12 PM. Took my vow to Adepticon with me and forgot to post up here. Apparently i had forgotten to vow the dreadnought talon. 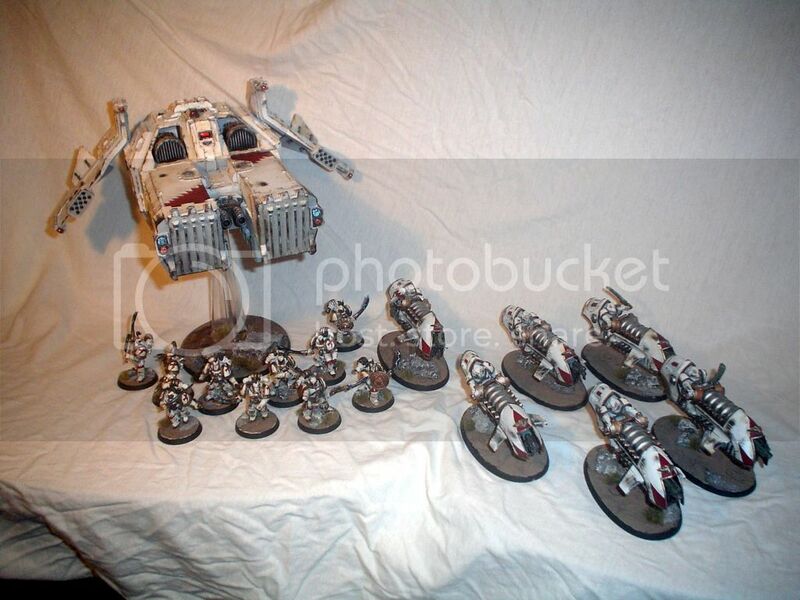 Captain Semper: on page six i there's a wip pic of the dreadnought talon, can i add them to my vow? Edited by lokkorex, 15 April 2017 - 06:52 PM. Got my vow completed with over two hours to spare. You lucky people you. Apologies for the poor photo quality. I'll upload some better photos when I get a chance to take them in daylight. Thanks for running this Semper, it's a nice feeling to look at a completed squad for once, instead of my ever growing pile o' shameTM. I also get to submit a fully painted squad to the MDRC, which is a new experience for me. Coming in across the finish line gasping for air, I finished my Ultramarines. My Praetor. I took some time with him. I'm quite proud of how he came out. My Mark 3 squad. They're finished for all intents and purposes. By the time I got to them I hurt my back and my kid broke his arm, so I didn't get to do exactly what I wanted to do. But it is what it is. My Mark 4 squad. I liked the fluff behind the red helmed Censured Ultramarines so I went with that for the Mark 4's. I like how these guys came out. Well thats it for my Ultramarines. This vow helped me actually get motivated enough to get things done. 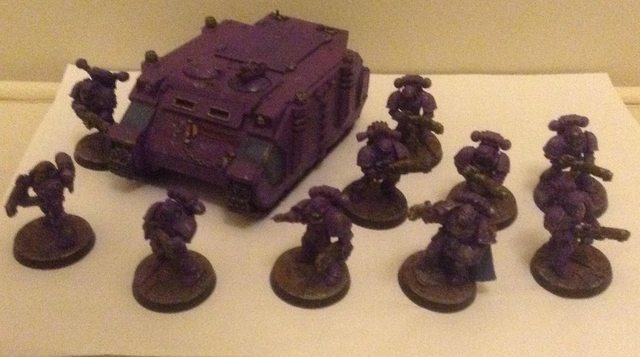 In fact, I bought the Burning of Prospero box and am currently working on an Emperors Children force. Thanks for the motivation! Didn't get around to finishing all that I wanted to. Real life got in the way. Better pics to follow in my wip thread soon. Some excellent last minute completions all around, people! 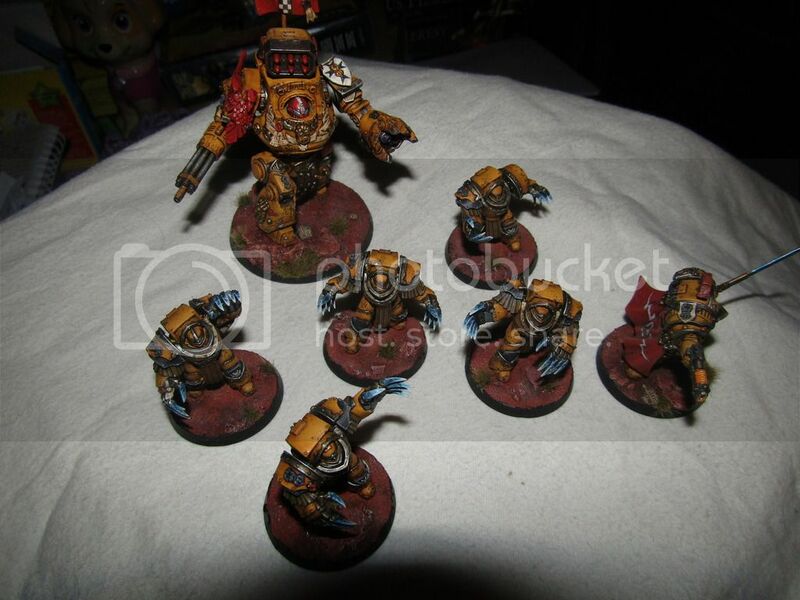 @ Eberious: Those are some excellent Fists, mate, and I just love that Contemptor, especially how you seem to really have put the bland plastic Contemptor through its paces. In my opinion, most people aren't doing nearly enough crazy stuff with that particular base model! Edited by KrautScientist, 15 April 2017 - 11:40 PM. Done. Got majorly distracted by the new Mass Effect. Break time until ETL. 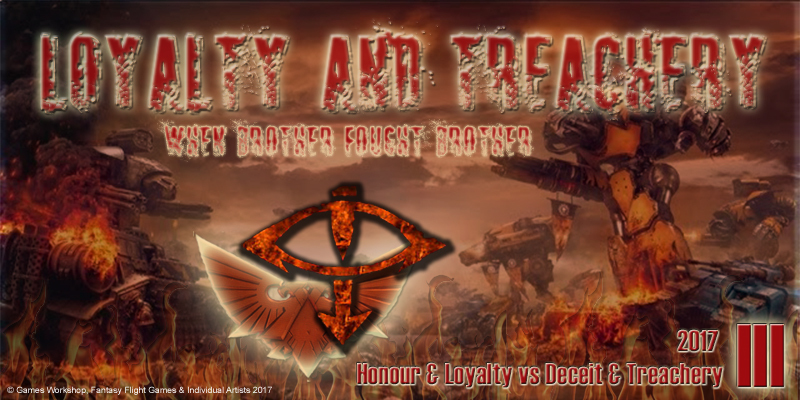 THE THIRD LOYALTY & TREACHERY EVENT IS OFFICIALLY OVER! This year we had 77 participants, maintaining the L&T's reputation as B&C's second most popular event after the ETL! Also for the first time this year, we made a Traitor vs. Loyalist showdown and, although the Loyalists were more numerous than the Traitors, the latter managed to put up a huge fight! However the numbers were too much in favour of the Loyalists and as a result they got the "Moral High Ground" this year. Overall 38 of you have managed to complete at least three models which translates to 49% completion rate (i.e. 49% of you achieved at least Centurion status) - a much better performance vs. last year that was only 39%!!! Once again, I'm compelled to comment on the outstanding quality of the miniatures seen here and have to congratulate all for taking part! The HH appears to attract talent like never before! To me, the future for this event seems very promising. Hopefully we'll see the next black book, "Angelus" coming out before the next event (fingers crossed) and we'll have the much anticipated Dark and Blood Angels joining the fray with full FW support. Who knows, there may be even something for the Scars... This is where the Good vs. Bad guys will take off for sure! And now the time we all were waiting for: Awarding the titles! Each member that has completed the various tasks of the L&T can claim a relevant title. What can each one claim is shown in the first page next to the participants name. If you don't see a title you expected to see next to your name feel free to take the appropriate badge from below regardless. Then let me know and I will make the necessary adjustments. Well, it has been tremendous fun and I already look forward for next year! @KrautScientist, thanks very much. 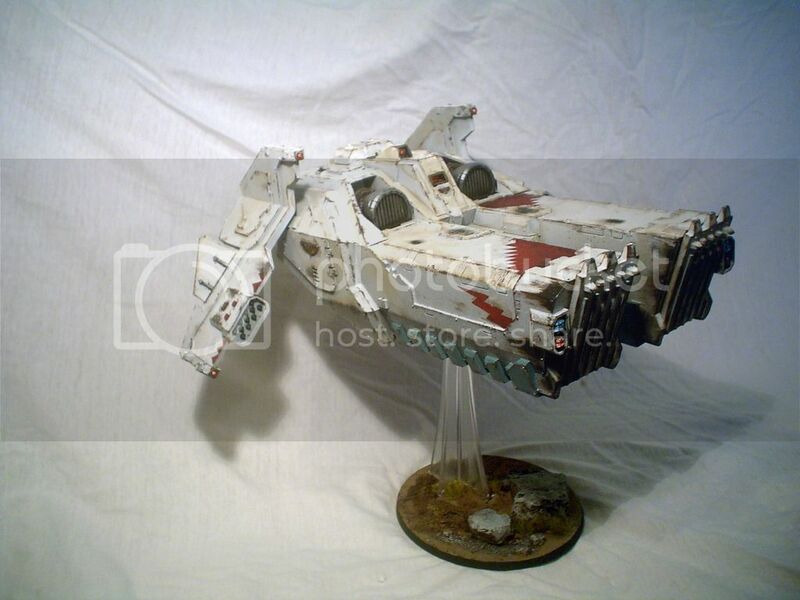 The base model is just begging to be converted, being a blank slate its ideal. Well done all, lots of great looking models here. Edited by Eberious, 16 April 2017 - 08:15 AM. Thanks for organizing the event, Captain Semper! It was good fun and very inspiring to see all those excellent miniatures here! So, huge thanks to the Captain for running the event and gratulations to all completionists. Also cudos to all participiants - I think all Models this year were great looking indeed. Thank you for running this event; it was a great start for my army project this year. Though given my rate of painting I will probably still be working on this army by the time next year’s event rolls round. Cheers for the event, it gave some great incentive to get a bunch of stuff finished! Thanks Captain Semper for another awesome event! Big thanks to Semper for running this event. Well done to everyone who took part - some really talented people and some great work on display. Fantastic effort everyone. I didn't post much, but it was an inspiration to see everyone dilligently toiling to get their pledges done. I have edited the closing remarks above to also include it. I will leave this topic pinned for a few days and then I will let it drop with the general population. If you want to retrieve it, you can find links in the "official events archive"
It was a blast and I would like to thank all of you for participating!